You are connected with the whole school's administration, teachers, and parents in a seamless system. Collect forms and parent input through the Parent Portal, filter for nearly any information, and track progress through the contracting process. 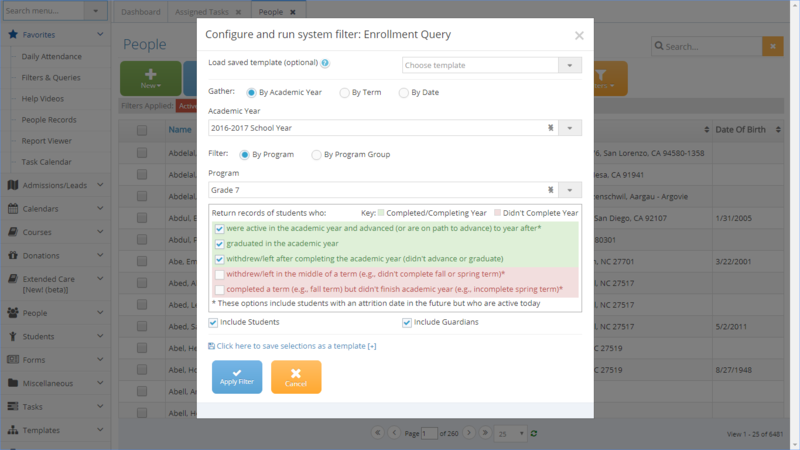 Customize reports, create enrollment contracts on the fly, selectively communicate with parents, donors, employees, teachers. Complete your mid- and year-end reports quickly instead of over weeks. BigSIS consolidates multiple admin functions in one user-friendly package to streamline and supercharge your workflow! The large (and growing) feature set, powerful tools, and ease of use makes BigSIS the best information system for the money. 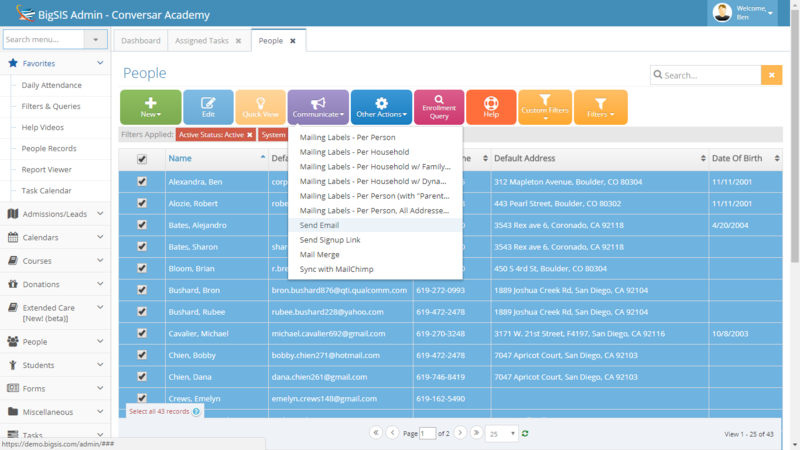 Collaborate with everyone in the school through a centralized, always-available database. You'll find tools and features specifically designed to ease the headaches of running a school. 1. Share data and with your colleagues, teachers, and parents, easily and online. 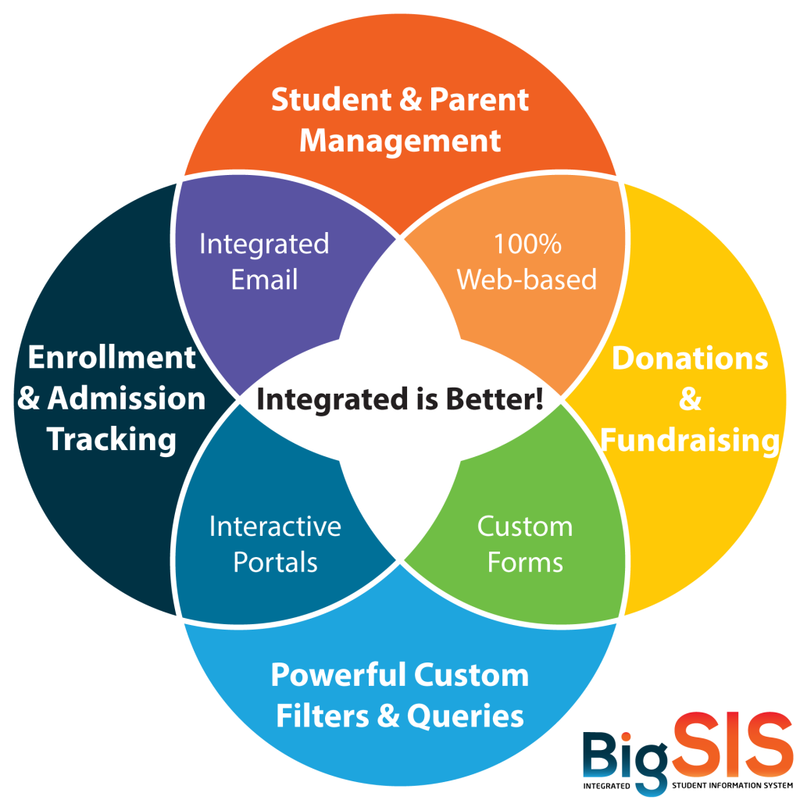 BigSIS integrates your work as office manager with registrar, development, admissions, teachers, and board members. Communication is easier, parents can update information or fill out forms directly through the Parent Portal, everyone can find forms, calendars, and directories online. Teachers work directly in the Teacher Portal to write reports and attendance. Your BigSIS Dashboard connects you with all your task areas and people throughout the school community. Powerful filters and queries help make customizable reporting a breeze. Print attendance sheets or the directory with ease, handle year-end reports from a centralized database. Give your board members, development officer, registrar, or anyone else exactly he information they need with a few clicks. You can quickly run easy to use custom queries to grab whatever data you need. 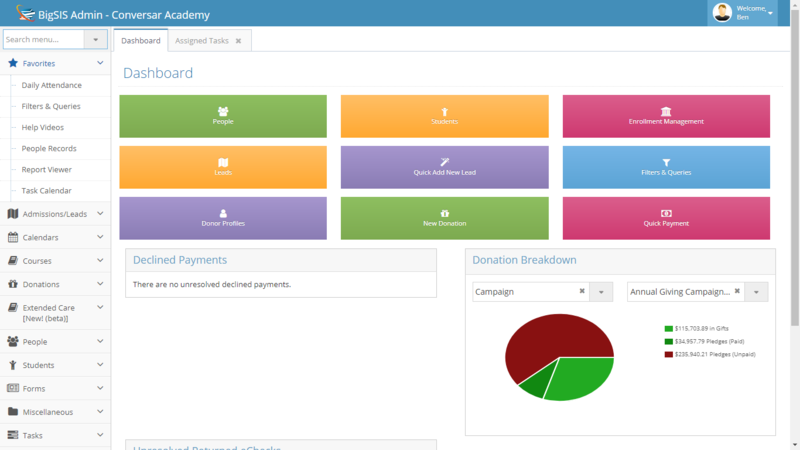 Customize emails to parents, donors, teachers, employees or anyone in the school universe. Set up a call and live demo so we can show you what we can do. You can also read our testimonials about schools like yours and people like you, continue to explore our infrastructure.